Mixed Martial Arts (“MMA”) originates from the full contact sport of Vale Tudo in Brazil, in which competitors use a variety of martial arts skills. MMA was created in the United States in 1993 with minimal rules, and was promoted as a competition by the Ultimate Fighting Championships (“UFC”) to determine the most effective martial art for unarmed combat situations. To most observers of the early UFC competitions, it appeared that Brazilian Jiu Jitsu or other forms of ground fighting was the dominant martial art. However, it wasn’t long before professional fighters realized that if they wanted to be competitive among the best, they needed to train in additional disciplines. UFC fighters began to morph into well-rounded, balanced fighters that could fight standing or on the mat. This blend of fighting styles and skills became known as mixed martial arts. Today, the UFC is the premier organization in mixed martial arts. With more than 40 fights every year, the UFC hosts most of the top-ranked fighters in the world. Events are held not only in the United States, but in many countries all over the globe. Our MMA class is designed for all levels. This program blends the key elements of Brazilian Jiu-Jitsu, Muay Thai kickboxing, Boxing and Wrestling. The instructors for this class are skilled athletes and many are MMA competitors. They have an abundance of knowledge and experience. If you have been looking for a program to take your combat sports training to another level, this class is for you. 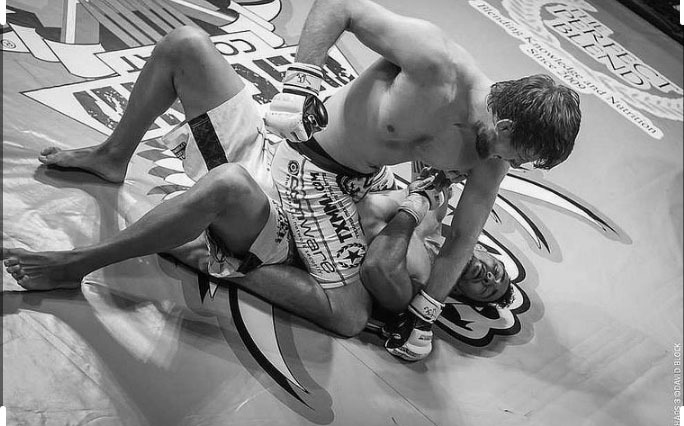 Mohler Mixed Martial Arts has built a solid reputation for its competitors winning MMA fights in many different venues, including the Legacy Fighting Championships, Bellator Fighting Championships and the UFC. In order to compete against today’s trained fighters you must be comfortable on your feet as well as on the ground. At Mohler Mixed Martial Arts, we will help make you well-rounded in all four styles to become a true Mixed Martial Artist. MMA classes are available at both our Grapevine and Dallas locations. Call us today at 214-738-0640 to schedule your free class.